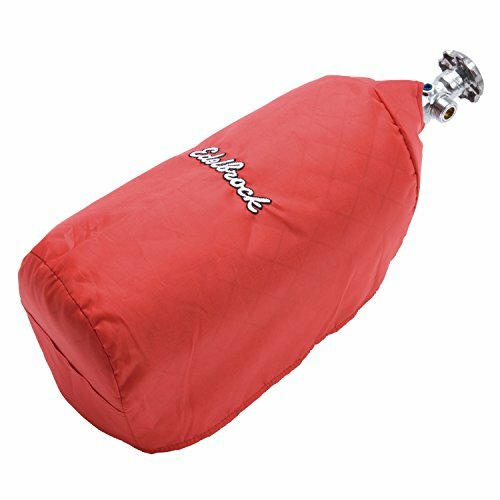 The Edelbrock Nitrous Bottle Heater thermostatically raises the pressure when necessary by applying heat to the bottle. Consistent bottle pressure (900-950 PSI) is an important element for proper operation of your nitrous system. The 12-volt DC bottle heater is for 10 pound and 15 pound bottles. It comes with all necessary hardware and includes Velcro straps for quick and easy bottle removal. It is sold individually. This 1680 Denier nylon Nitrous Bottle blanket helps to maintain consistent bottle pressure by keeping heat in the bottle when its cold, and by protecting the bottle from direct sunlight and the possibility of over-pressurization. The Edelbrock Red Hinged Nitrous Bottle Bracket is red powder-coated and made of steel. 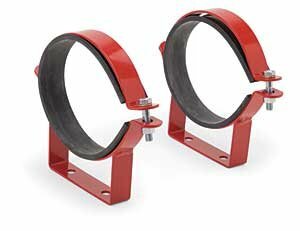 These hinged brackets are designed for use with Edelbrock or other brands of 10 and 15 pound aluminum bottles that are 7 inch diameter. The Edelbrock brackets allow mounting the bottle just about anywhere. It includes rubber isolators to protect the finish on your bottle. The nitrous bottle bracket allows for easy installation and removal for quick bottle changes. These Pressure Relief Disks include Safety Blow Off Adapters. The Edelbrock Blow-Down Tube vents nitrous oxide out of your vehicle if the safety disc breaks due to over-filling or over-heating. This blow-down tube is 22. This aluminum, black, blow-down tube has a -8 AN female thread. A blow-down tube is an essential safety feature for hatchbacks or cars with the bottle mounted in the passenger compartment. The blow-down tube will safely vent the nitrous to the outside of the car. 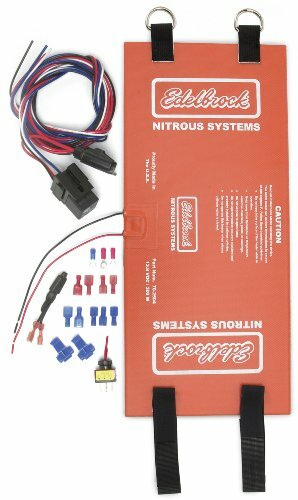 Performer RPM single-stage nitrous systems are designed for use on carbureted V8s. The solenoids are larger than our Performer systems and power increases can be adjusted from 100-250 horsepower. 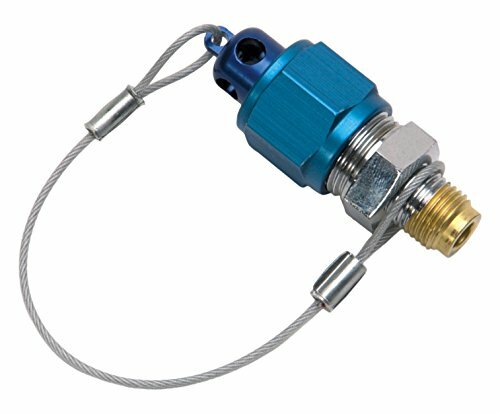 The Edelbrock Racer Safety Blow-Off Adapter replaces the standard safety valve to allow for the use of a hard line blow-down tube like the Edelbrock Nitrous Blow-Down Tube. Any IHRA or NHRA sanctioned track will require this -8AN Edelbrock blow-off adapter in all classes when you run with nitrous oxide. These are the safety devices that fit on the bottle. If the nitrous system creates too much pressure, one of these caps will allow it to bleed off through the vent tube, which exits outside of the vehicle. 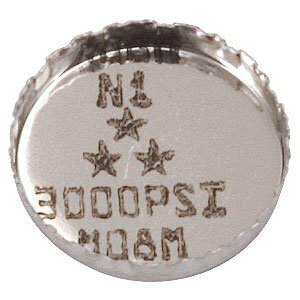 It includes a diffuser cap for safer handling when the bottle is not mounted. 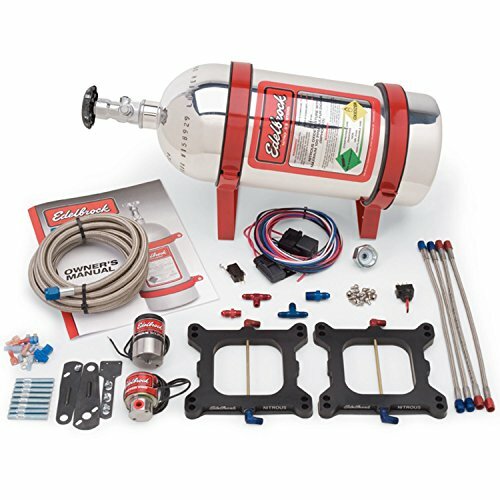 The Edelbrock Concealed Nitrous Kits include a polished bottle, wires and screws that are needed for installation. They are used along with the nitrous systems to improve the power produced in the engine by supplying nitrous to the input stream. These kits are easily concealable and leave no signs of installation or use. 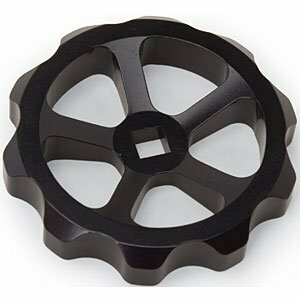 This replacement handwheel fits our 5-lb., 10-lb., 15-lb., 20-lb., nitrous bottle valves. 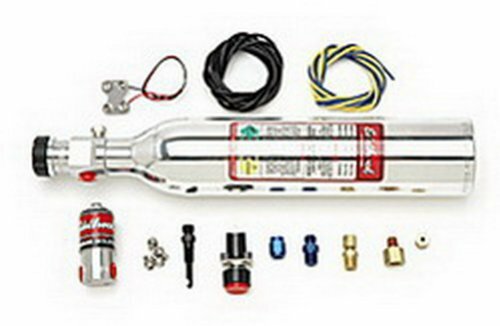 Edelbrock nitrous bottles are made of aluminum alloy, are D.O.T. approved and include an Edelbrock high-flow CGA approved valve with a built-in siphon tube (unless noted otherwise) for consistent performance. In nine sizes to suit any application, Edelbrock bottles are available polished to a high luster. 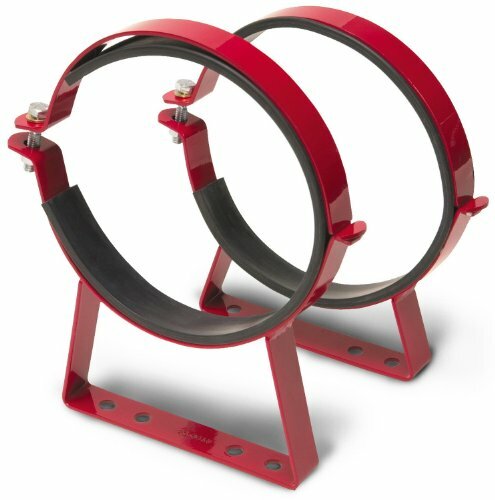 They include a pressure venting system to prevent pressure increases beyond the safety level. Note: All bottles are shipped empty. Copyright © Wholesalion.com 2019 - The Best Prices On Edelbrock Nitrous Bottle Online.